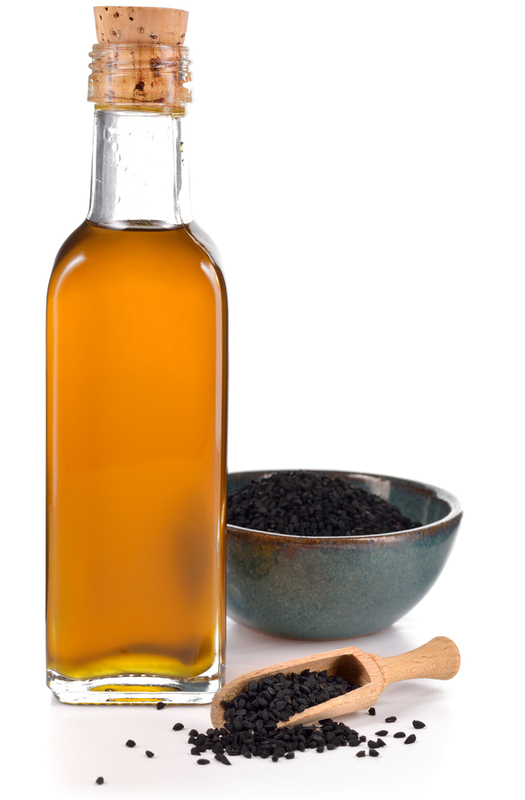 For almost 2000 years Black Cumin Seed Oil has been used by the oriental people as both a seasoning and a medicine. The high levels of multiple essential unsaturated fatty acids like Linoleic acid and Gamma-Linoleic acid contained in this oil are very important for fat metabolism, and as well as essential oils, this contains beta-Carotene, Vitamin B and Vitamin E as antioxidants. Black Cumin Seed descends from the “Crowfoot” (Ranunculaceae) family, and is not related to the Caraway (Persian Cumin) that is normally used in the kitchen. The Black Cumin Seed Oil is cold pressed. The original Egyptian oil of the Nigella Sativa (Latin) means, in Arabic – Beneficial Seed. The gentle first press guarantees the conservation and stability of the valuable content. The pure Black Cumin Seed Oil is, among other things, responsible for the normal functioning of the immune system.